Translate between multiple languages with one software package: English, French, German, Italian, Portuguese, Spanish and Russian. 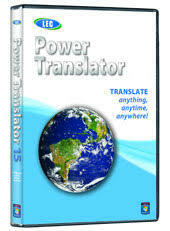 With Power Translator, you also get an introductory subscription to Translate DotNet, with its easy-to-use desktop toolbar. Quick Start Program. Details: QuickStart helps first-time users pick the best program for any translation task. FileTrans translates ‘text only’, Microsoft Word, HTML, RTF, PDF, and XML files. Dictionary is used to create and browse dictionaries. Details: Quickly and easily add words or translations not already in the main or subject dictionaries. This allows you to increase the accuracy of translations and create a dictionary tailored to your needs. Specialized Dictionaries Details: Include specialized computer dictionary for more accurate translations of text in this subject.